The makers of Brenne Estate Cask Single Malt Whisky wanted to produce a whisky that embodies the terrior and style of the region in which it is produced: Cognac, France. This is not trying to be a Scotch just made in a different country – this is truly a French Whisky. It is elegant and sophisticated, quite different to what you would expect from your standard Scotch. Since 1920, our family-owned distillery has been handcrafting some of the finest small-batch spirits to come out of Cognac, France. Brenne continues this tradition through the artistry of our 3rd generation master distiller. Starting with organic barley harvested from the fields surrounding the distillery and naturally pure water from nearby Charente, he refines the spirit over live-fire copper Alambic stills. The whisky is then aged in new French Limousin oak barrels, before being finished in young Cognac casks to create a lighter, more balanced profile. 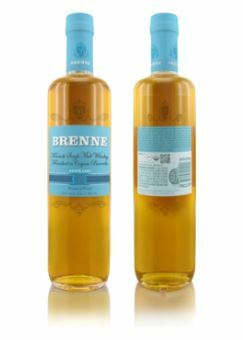 Brenne is a truly original single malt that is perfectly smooth and refined. So as mentioned above, Brenne is aged in new French oak and used Cognac barrels, leading to a fairly light straw colour, and a lovely sweet yet pungent nose… like having your nose in a bag of Rowntree’s Randoms (soft fruit jelly sweets in the UK). There’s silky buttery notes all over, fruits come crashing out at you, but not the usual Scotch Christmas Cake type of fruits, something totally different, fresh yet refined. Due to the Cognac I’m sure (not that I’ve had Cognac before). Its certainly a sophisticated, top quality nose… although there is almost a complete lack of any alcohol nip here, that’s not a bad thing, just saying, it certainly leads it to be smooth, creamy, vanillery and sumptuous. The palate leads straight on from the nose exactly as you’d expect… more fruit jellies on the tongue, cream, vinalla, light on the mouthfeel and on the wood flavours. Alcohol wise it’s very light and easy to drink with just the mildest of tickles at the back of the palate near the end. If I would want one thing it would be for a slightly higher ABV, but that’s just my taste and not a criticism. The finish is mild, but long enough to enjoy more sugary, fruity, creamy goodness. Don’t get me wrong, it’s not too sweet like some wine finished Scotches can sometimes be… this is well balanced sweety goodness. My one regret is the airmiles my wee sample has had. France is only over the water, but this whisky is currently (as far as I’m aware) exclusive to the USA, and mostly in the New York area… so it’s gone from France so the USA and then back to me in the UK for this review. It would be fantastic if I could pick it up locally knowing I’m being more friendly to the environment (it is organic after all). We can only hope they expand into the UK soon, however I suspect the operation is quite small, so it may take a while to get to here. If you can get your hands on a bottle or a sample I really do urge you to… this is something quite different and really worth your time trying to find. If I can get hold of a bottle I think I may well do so and break my self imposed embargo (due to credit card woes). 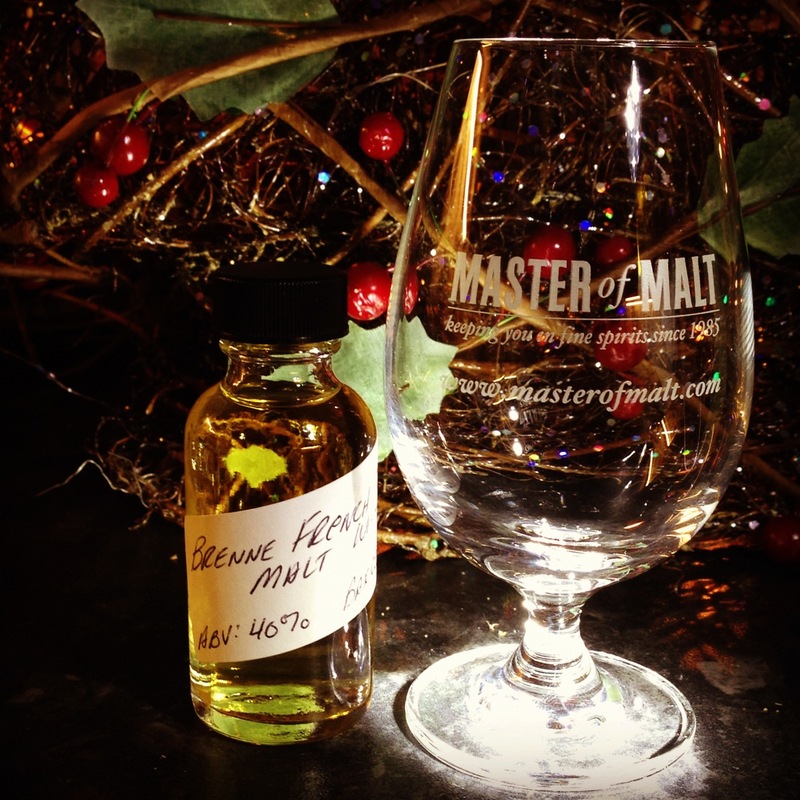 This entry was posted in Review, Whisky and tagged Brenne. Bookmark the permalink.